Good day, friends. I've been informed to seek out your input that may influence the development of a truly unprecedented Mega Man figure. It's a product we haven't quite seen before and, if you're interested, it may just come to fruition. The premise: a company is considering producing a high end 1/6 scale Mega Man X action figure (roughly 12") utilizing diecast and plastic components. It would have a buster illuminated by LED. It would retail between $149.99-$199.99 USD with plans for expansion accessory packs of other Armors. The question: would you be interested in a high end Mega Man X (or any Mega Man series character) 1/6 scale figure? Give us a YES or a NO in the comment section below. Please feel free to provide additional feedback, too! The parties involved will be interested to hear what you have to say. There's no time frame on this little poll. Cast your vote at your convenience. Interested? Yes. Can afford? Nope. I'd be interested, but I doubt I'd be able to afford anything like that, unfortunately. I would love a high quality X figure with interchangeable armor pieces as additional purchases. I would love it even more if the armors were released in order, so that the lesser recognized armors from X2-4 could get a figure release as well. Yep. As long as it looks nice and it's made well. And give us a game while you're at it. I am assuming that the price tag and quality will be equivalent. And I'm more interested if it is X over any other character. Of course, yes is my answer. YES!! Megaman X is a perfect fit, as well! YES! Absolutely! I'd buy every single one! Absolutely yes. But I think Mega Man ZX would be a good fit too. Yes, but I think a ZX figure would be good too. Yes. And I like the armor ideas. Keep them in order. I'm guessing most fans with the income to support such a purchase would say yes, but the question is can said manufacturer deliver what the fans want? Every time a new figure comes out it is clear that many people don't like the look. So, this poll may indicate that there are a ton of people willing to throw $150+ at a high quality figure, but the reality could be that a large percentage of those people end up not liking the look and not purchasing. In short, this poll may be useful in determining if there is a market for such a product, but it is not useful in learning the exact look of the product that will yield full sales potential. "You input need for a future Megaman"
Still good news for people who collect figures though I suppose. Sadly I am not one of those people. Yes for sure! But if they make a 1/6 scale X, then you know that they need to make a 1/6 scale Zero figure as well! I would definitely buy both. This isn't F4F by any chance, is it? As long as it poses well and the expansion armors aren't too expensive (like they need to be less than the cost of say, a figma figure) then I'd be down. YES. I'm setting aside the money right now. Only getting this if it's an actual figure with articulation, though-- I'm not interested in statues. ZX characters would be great too (Vent or Aile especially). Yes, but can it be Zero from Rockman/Mega Man X4 with the flashback fight scene with Sigma? I want it so his crystal thing on his forehead glows and has the W flashing. I think that would be cool. Yes, but please, if you are going to release other armors, give me a way to display them without buying another figure. Like some sort of cheap display mannequins to wear the other armors. Of course have the option to buy the figure with armor as well for those who for example just want a Giga Armor X but none of the others. Yeah like in X5 or X6 when you select the armor. 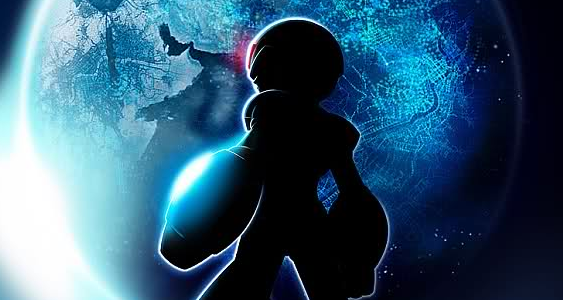 You see a darkened form of MegaMan's outline. Dont know if theres a picture or not. Hope this is clear. Yes but I am crazy and bought a Dante 1/6 figure for 150. Yes, but it depends on the quality. Most seem to say yes, and I would be so inclined as to agree. As some others have said, I would also like another of Zero. As others, I hope, especially for that price, it would be articulate and durable enough to change poses constantly, and endure a few accidental drops and/or falls without breaking or the joints wearing out so it's arms and legs just flop with gravity. I actually regret assuming the jacket wouldn't sell and not getting it when I could. I missed out on that, and hope I don't miss out on this. If the extra armor parts come in the same package, yes. No Mega Man figure at all. We want the new Mega Man games. I think many people saying yes is a hyprocite. Sorry to be honest. Do you even know what a hypocrite is? Could be a good investment since it will probably be $500 on Ebay the year after it comes out. The figure should come with Dr.lights capsule. Yes. Any "Mega Man" is fine, but I'd love to see an Iris figure. Expansions and Armors sound good! Yes, high end Trigger w/ Dancing Data please! Yes, so long as the quality is better than the MegaMan 25th Anniversary statue. I got mine and it had 2 hairs in the paint. I contacted Capcom about it and was basically told I could return it for a refund or deal with it. Incredibly disappointing. YES. Without a single doubt YES. Yes, as long as it's well-articulated and durable. Excellent news. If you want my opinion, I'll tell you right now that the premise of such a figure is downright exciting. Envisioning the finished product, I see something absolutely beautiful. In short, YES! Um, heck yes! ESPECIALLY if in the future, they produce one in the design of this years April Fools Joke! That would be HELLA AWESOME! Yes! I will totally buy this!!! I can't say I collect 1/6 scale figures, but something like this would certainly get me interested into starting it up. So make it a yes on my end, god knows I burn enough money on expensive mecha figures, so 200 isn't too big a price all things considered. No, I wouldn't. I'm tired of Capcom making money off of Mega Man without making any games. Then no more Mega Man. Merchandise is the only source of the IPs income. I rather know who the manufacturer is before I say I would buy such a figure. I need to know the kind of work they've put out in the past. How good their paint applications, sculpts, articulation, durability and their distribution methods with previous figures. All they're pitching me is an idea but they haven't said anything about the themselves or details about the figure. If it's someone like Four Horsemen, I would say yes in an instant, but as far as we know, this could be Jazwares or someone similar. A crappy product that doesn't sale would end up damaging the brand more than help. Especially at a price point that will turn people away for the slightest flaw. Until I get more info, I'm saying no. While I'm unable to provide you the name of the company, I can tell you it is not Jazwares. Daniel Bryan - "YES! YES! YES! YES! YES! YES! YES! YES! YES! YES!" If we're being given the opportunity of potential future customization options, why else would anybody want anything but a standard blue MEGAMAN X figure???? Just imagine the possibilities of such bad boy! Even Zero (though he's my favorite megaman X character), provides less to just few post-release customization options (and I'm pretty confident that if the first one is successful, Zero will be made anyway). If anything else gets made... what could it be upgraded to? JUST MAKE REGULAR MEGAMAN X AND EXPAND ON THAT! No. I would much rather prefer a Mega Man Volnutt figure, there's already enough X series figures, not enough Legends. And I also find that price to be a bit too high. Never to a Volnutts figure. Yes, I would be interested. Any main character from the X, Classic, Zero or battle network universe. Yes, oh very yes so much. All great series to pic from. I might not have money, but at least it is show proof that i care for Megaman! Yes, but for that price I would only purchase it if it looks really accurate. The statue really isn't that bad. In fact, those two pictures look almost exactly the same, pose-wise. I know people are mostly sore over the eyes, and that's somewhat understandable. The D-Arts has the pupils closer to the center and yet, I distinctly remember a lot of people complaining that the original sculpt's were just like that, making him look cross-eyed. Conflicting critiques and criticisms as well as a deadline no doubt forced the sculptor's hand. In the end, if people think this looks bad: https://c2.staticflickr.com/8/7335/9429081707_082959fcd6_z.jpg - they are a bit too critical. I know when I received mine and took it out, I was very impressed. Maybe. I'd have to see it first. I'm not entirely convinced on the idea of an almost 200$ figure that you would then be able to purchase more stuff for. seems like the price could be far too high in the end. Lower the price a little to compensate for the accessories and you'd have my vote. If it were classic Megaman, I'd buy it without question. But I think most fans would want the lanky, beady-eyed X from the Playstation era games. There's no way I could afford that price tag. That's a full week's worth of a pay cheque for me (and then some). Even if I was guaranteed a character I really wanted I wouldn't have the space for it and given the options I'd still prefer to see more D-arts figures to match with the few I have now. Yeah, it'd be nice, but ultimately not worth it to me. I didnt realise the price tag on it (I was just a bit too excited lol) Maybe less than 100 or 150 would be nicer. I guess the price is for the shiny lights and stuff lol. and Oh, I didnt think of that, I totally agree with having more D-arts/S.H.Figuarts. Posing them is always fun. Definitely! The figure should have a great range of motion for recreating action and box art poses as well as look accurate to the character. None of those "stylized" or "inspired" designs. If I'm throwing down over $100 for a figure of my favorite character, it better do the character justice. Absolutely YES. At first, I thought we were just talking about a statue, but POSABLE?! DIECAST?! LED BUSTER?! With ARMOR EXPANSION PACKS?! YES, YES, YES, YES,YES, YES,YES, YES,YES, YES,YES, YES,YES, YES,YES, YES,YES, YES!!!!!!!!! Also, Mega Man X is definitely the character I want. Zero (X) and Classic Mega Man can come later if the first X figure is a success, but, yeah, X first. If it were any character from Legends I'd buy it in a heartbeat, but I wouldn't spend any amount of money on a figure from any other series. My answer is "it depends." For that much the figure had damn well better be perfect and I would need to see how it was going to look before I decide. I'd rather see a character we haven't had as a figure before (or at least in awhile), though. The original Mega Man, X and Zero make up about 90% of the MM figures out there. Yes, but as long as it's price is reasonable. I won't say "Yes" till I have a blue print of the figure and which company is going to do it. Plus it would be more better if the whole armor was diecast, right? It is armor after all and he is a robot too. Yeah, he might be heavy and big, but for that price, he better have a lot of diecast! And only the buster to have a LED?! Come on, for that big of a figure there is a lot of room to fit another LED in his head for the forehead crest and ears to glow too. And the bottom of his feet! For that price I expect things like this! Not just some diecast here and there and one LED. NO! NO! NO! NOOOOOOOO! For thst price DO IT RIGHT!!!!! 1) A LOT of diecast, hes a robot after all. 2) Theres a lot of room to fit and put multiple LEDs. 3) If its too much diecast then make him to have removable armor exposing a diecast skeleton/body, like the old vintage Bandai model kits! 4) To be very possible like the D-Arts X. 5) Add on armors of other series games like Shadow Armor, Falcon Armor, Fourth Armor, Max Armor and so on. 6) Effect pieces, effect pieces always add/make figure better. If this figure had all these or thins like this, then the price would be fair and worth it. MagicalWingLTJune wrote: "It depends on the price." Anonymous June 8, 2014 at 12:09 AM wrote: "Yes, but as long as it's price is reasonable." Assuming you actually read the description, you would be willing to pay $149.99, but not 199.99? I'd buy it right away! No diecast joints, and I'm in. It's a bit out of my normal price range, but overall I'd say yes. It would have to look amazing though. If it were done with the design that was released this past April 1st, I'd definitely be in!